Mac users weren’t always used to using anti-virus software. In fact, several years ago there were few choices and most were a bit pricey. Very few viruses were written to exploit the Mac operating system (OS) so the main concern was to avoid spreading viruses via email and file sharing to Windows users. Most viruses and malware are still designed to attack Microsoft products. However, things have changed. Viruses, trojans and other malware have now been created specifically to attack the Mac OS. So it’s starting to become risky to run a Mac without security software, especially now with the rise of ransomware when the data on the Hard Drive is encrypted so you cannot access it without paying the extortioner (please don’t pay, they usually don’t cough up and they’ll put you on a ‘sucker’ list which will lead to future targeted attacks on you). So whilst you need to back up anything that you value on your computer, (see my previous article on backing up), it would be very wise to install some anti-virus software. Right now (or soon) if you haven’t already done so. If you already have, please don’t start ignoring warning messages and make sure the license has not expired if you purchased it. Give any warnings reported by the software some attention and get help if you are not able to resolve things. Free software or should I pay? There are many products out there, paid for and free. Here’s a quick low-down on the choices. With free software the advantages are obvious but typically, they will be slightly less efficient and thereby slow down your system a little more. They may contain adverts and may nag you to upgrade to a paid version. Lastly, free software usually comes with less help and can be a little more difficult to use but most importantly, free versions should give you the same degree of protection so don’t be put off if you’re on a tight budget. If you have a few pennies and like the easy life, paid for versions of software are usually easier to use and help is often free. The software may be better designed but remember that if you change your card number, the software may not automatically renew so PLEASE DON’T IGNORE WARNINGS. How do you use anti-virus software on a Mac? 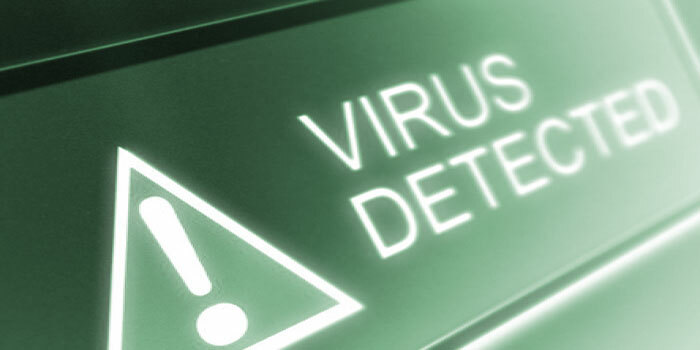 AV software stays on in the background keeping an eye on new emails coming in and trying to spot known viruses whilst looking out for unusual activity on your Mac. If your machine starts to behave differently, it might be time to run a scan. Often you have the choice between running a “quick” or “smart” scan or running a much slower “full system scan”. If you have suspicions about your machine, run a full scan as soon as possible. When the software finds a virus it may delete them or quarantine them by placing them in a special folder. Good software will help you deal with issues that arise and you should follow the instructions provided by the results of system scans. If it is unclear, you should probably get some help. AV software can also be used to run automated scheduled scans. Pick a time when you are unlikely to be using it but it will be switched on and set it to scan at a regular interval. Daily, weekly, monthly etc. Whatever you feel comfortable with but remember, virus scanning slows down the performance of your machine so pick a good time to do it. How can I choose which AV to use? Have a look at this 2019 article from MacWorld magazine. It might help you to choose what’s appropriate for you. If you are concerned about online safety, come back soon because I plan to write more on the subject.